Are you doing life right? 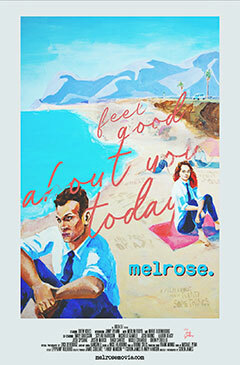 Go down to Melrose, and find out. 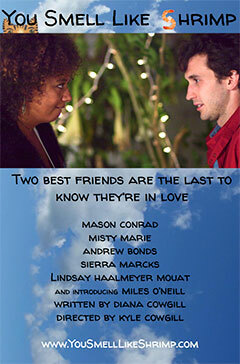 It’s a film about twenty-somethings. Made by twenty-somethings. A story about transition, told from the frontlines of transition itself. It’s dark. It’s funny. It’s exciting. It’s romantic. It’s intense. Sometimes all at once. An anti-coming of age narrative, a technicolor thrill ride, a postmodern teen angst movie, a love story, a firsthand account of the lesser-known Hollywood experience - it’s La La Land on acid, The Graduate for the college dropout, 500 Days of Summer - off its medication. 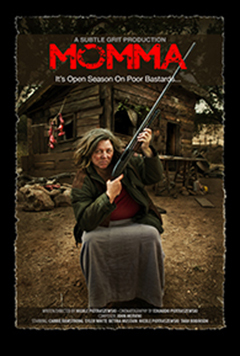 Fast paced, energetic, vulnerable, unpretentious, and unforgettable - you’ve never seen anything like it. Nor will you ever again. 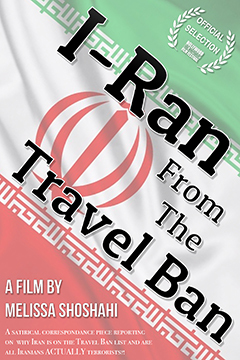 Comedian Melissa Shoshahi dives deep into the important questions nobody is asking, regarding why Iran is on the travel ban list. Skeptical as to whether or not Iranians are terrorists, she interviews right wing conservatives, famous rocket scientists, and Iranians (possible terrorists) in America. Sari Coogan is a lonely nerd from New Jersey. 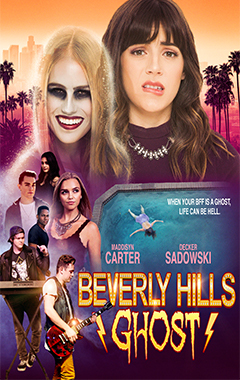 But when she moves into a Beverly Hills mansion haunted by teen heiress Missy Palmer, Sari must get in with the rich and famous to solve Missy’s murder. Clean Eating is a Dark Comedy inspired by 1930's-60’s Adventure Films/TV Shows/Tiki Bars but with an offbeat sense of humor. Despite not taking itself too seriously, the film explores the serious repercussions of going against any group or culture in the majority, especially when it’s your own. Just like Socrates realized: enlightenment comes with a price. The narratives of those that have survived assault at the hands of those in positions of power are more visible than ever, but far from new. 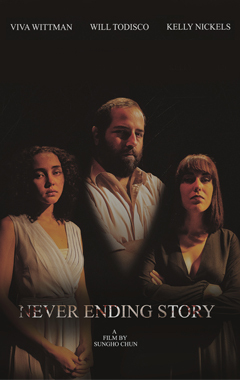 Our film tells the story of a theater director, drunk off critical acclaim and delusions of grandeur, unethically wielding his power over two actresses, Evelyn and Judy, vying for a leading role. But his attempts to pit them against each other fail remarkably when Judy and Evelyn band together to take him down. Inspired by the painting "Judith Beheading Holofernes" by Caravaggio, 1598. Two hapless soulmates, whose dearest friends have to convince them that, they are each not the only one feeling "this way". Can Andy, Harold Shoe, and the ever-pungent Christina be able to convince Kate and Paul that their sweet moment in the park meant something? Or will the lovers go back to being just friends? Two marshals get more than they bargained for while transporting a high profile witness. 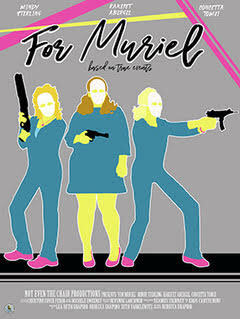 A comedy about Elaine and Helen, two ladies pushing 70, and their younger friend, Jenn, as they all plot to rob a bank. Because none of them ever robbed a bank, they all suggest a different movies to model their robbery on. For Momma Beckett and her daughters, survival belongs to the fittest; in a world where there is no greater thrill than the hunting of men, it's a good thing they get a head start. 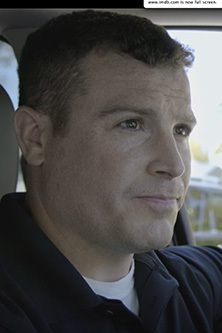 Peak behind the veil of a shadow government as it watches Americans through the eyes of a former combat soldier, Finn Renfro. 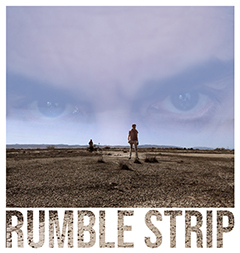 As he battles to divest himself from military life and government control. A psychological war-front for national security and invasion of privacy Decentered follows a veteran gone bezerk, who could foil it all. 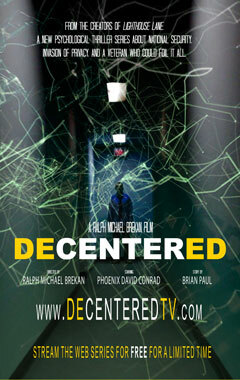 Created and co-written by Brian Paul, Decentered, a neo-noir political thriller based in science fiction and conspiracy theory, produced and directed by internationally renowned fine artist, Ralph Michael Brekan. Brekan is a 20 year veteran of motion picture production, having collaborated on blockbusters like Three Kings (1999) and the Kingdom (2007), as well as producing the award-winning micro-budget thriller, Lighthouse Lane (2012). 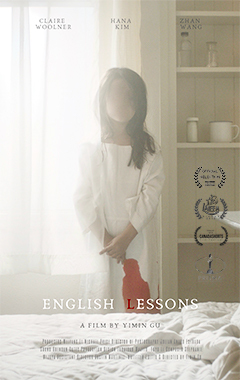 Haunted by her traumatic past as a nurse, Rebecca just started a new position at a Chinese household as an English tutor for the 8-year-old Moran. Though Moran is shy, Rebecca establishes friendship with her by teaching her how to make origami. However, the more time she spends in the house, the more supernatural the house becomes, triggering her memory at the hospital to surface. For the sake of Moran and her own sanity, Rebecca must discover the secrets buried in this house, centering around Moran's father, Dr. Wu. When an ex mercenary's true love is kidnapped, he must save her from the tyrannical leader, who he was fathered by. Mankind has accomplished two things: The colonization of distant planets, and the destruction of Earth. 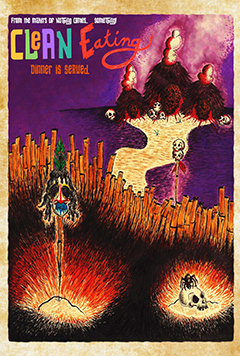 SphereCorp, a group of disbanded government entities, rose to power using the remaining population as prisoners to mine and ship materials to the stars. They control the last viable source of drinking water. 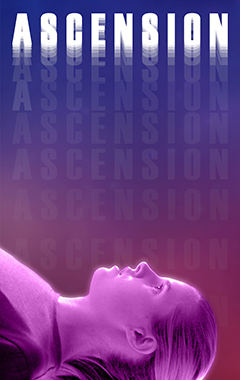 ASCENSION is a Sci-Fi Horror feature executive produced by Max Borenstein (GODZILLA, KONG SKULL ISLAND) and starring Ana Mulvoy-Ten (AMERICAN CRIME, HOUSE OF ANUBIS). Still mourning the death of her mother, Angela, who's had some behavioral and mental instability issues, takes care of her little sister Chloe and tries to keep the peace with her difficult, goth 17-year-old sister Becca. Since their father Jason pulled them out of school and hired grad student Gabby to homeschool them, Becca has been furious. But what others write off teen angst, Angela begins to see as something else — a shift in Becca’s personality, and as Becca exhibits more and more unusual behavior, only Angela seems to notice that she is possessed by a dark and otherworldly force with plans to do something unspeakable to little Chloe. A creepy and atmospheric thriller exploring a teenage girl's alienation from her family that parallels the madness of our times and society's slowly loosening grip on reality. Nora is that girl: the one who works overtime, helps out her family by all means, and leaves little for herself. She can't even fathom a love interest. 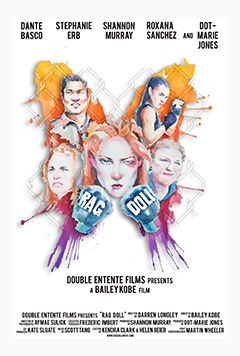 But with her one free hour a day, she takes out life's hardships at the local mixed martial arts gym, where she is no longer who she is, if just for that hour. When complications in her real life cause it to crumble, she is lead to enter a championship tournament as a novice. Nora must learn not just what she is fighting for, but what she is actually fighting against!